From premium fine dining to local-style street food, and from beaches to waterfalls; Mumbai, the City of Dreams, has it all. Even so, we sometimes crave for a change. A change from the city's hustle and bustle, and travel to a secluded place with only tranquillity around. Thankfully, Mumbai is surrounded with many such destinations. Dahanu, a coastal town located at a distance of 140 km from Mumbai, is one such place. Found in the Palghar district of Maharashtra, it is home to many magnanimous power stations. The word "Dahanu" is derived from the term Dhenu Gram which literally translate from Hindi language to "The Village of Cows". This is due to the fact that, many people from Dahanu own and cultivate cattle, especially cows. Dahanu is popular for chickoo fruit, in fact it accounts for 35% of the entire state's chickoo production. Apart from that, it is also known for growing coconut groves and charming rose gardens. 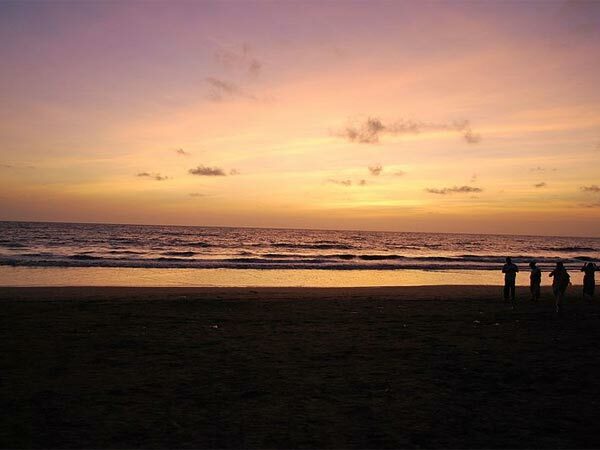 October to February being winter is the ideal time to visit the serene town of Dahanu. The weather in this season will be pleasant and balmy. Monsoon might have heavy rainfall and summer might get uncomfortably hot. Read on to know about the places to visit on the way to Dahanu. Thane, one of the most populous metropolitan city of Maharashtra, is located just about 22 km from Mumbai. This is the first place you reach once you leave Mumbai and head towards Dahanu. Thane has numerous places to visit such as the Upvan Lake, a site of recreation for both, the locals and tourists. Hence it is usually crowded during the weekends. Korum Mall, Titwala Ganesh Mandir, Ambarnath Temple are some of the other places to visit near Thane. On the outskirts of Thane, two water parks are available. Since Maharashtra is blessed with many water bodies, Tikuji Ni Wadi and Sanjay Water Park is the two amusement parks located within 10 km from Thane. Perfect for the kids, these places offer various activities such as wave pools, water slides, rain disco and more! Tikuji Ni Wadi has land rides like giant wheel, toy trains, to name a few. This should be a perfect stop where people of all ages can thoroughly enjoy. Bassein is an English derivation of the Portuguese word Baçaim. The Bassein Fort is located in Vasai town, therefore it is also known as Vasai Fort. Built by the Portuguese in the 16th century, this ruined fort is now a regal relic of the past that reflects the Portuguese reign in Maharashtra. Being a spot for many Bollywood movies, the Bassein Fort has attracted the attention of even the famous British band Coldplay, since their latest song "Hymn For The Weekend" was shot right here! Located about 30 km from Bassein Fort, Vasai Creek is an estuary creek made of the River Ulhas. Estuary creek usually consists of brackish water along with water from two or more rivers or their tributaries. The enthralling view of Vasai Creek can either be seen on the way to Dahanu, or even from the Bassein Fort. A panoramic view of the creek can be seen from the fort's watch tower which is simply breathtaking! The Vaitarna River flows parallel to a section of the route, that starts somewhere around Sakawar village and follows till Manor where it breaks into many more tributaries. If you are into adventure sports, then water activities such as kayaking and white water river rafting are available on the Vaitarna River. Many local services can be contacted, that offer brilliant packages for these activities. Around 50 km from Bassein Fort lies Manor, a quaint town of Palghar district in Maharashtra. Manor is known as the gateway to Palghar since it is the first town to enter in the Palghar district. It is a sought after weekend destination since the town is quiant, serene and offers the perfect getaway from the city life. Quite a few resorts are found in Manor which has private water parks and farms. You can relax at these resorts before heading to Dahanu. Just before reaching the town of Dahanu, a Mahalaxmi Mandir (Temple) can be visited at Kasa village. It is located about 28 km from Manor. The deity of this temple is Goddess Mahalaxmi. Boisterous celebrations takes place at this temple during festivities such as Navrathi. A particularly grand festival of the temple is the "Mahalaxmi Yatra", a 15-day celebration that begins from the day of Hanuman Jayanti. During this time, the tribals of the village exhibit Taarpa dance, which is a local style of dancing. Since Dahanu is a coastal town, it is flanked with many serene and picturesque beaches. Agar Beach, Chikale Beach, Parnaka Beach are some of the popular beaches of Dahanu. Usually tourists from Surat, Thane, Mumbai visit these beaches for a vacation. Apart from this, Dahanu is home to many dams and temples too. Since the locals mostly grow chickoo fruits and coconut trees, the town is dotted with beautiful thickets of green; all in all making it a great weekend destination.